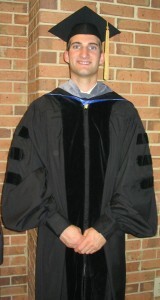 Dr. Scott Cooley was born in Victoria, BC, Canada. 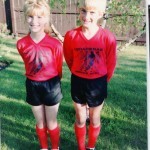 He grew up loving sports and being active. At the age of 5 he began playing soccer (football) and is still playing to this day, most recently playing for Carlton Club in Barbados. As a child, Dr. Cooley regularly accompanied his Mom to the chiropractor, whom she visited regularly as it helped tremendously with her headaches/migraines. His Mom (being the amazing Mom that she is) knew the importance of a properly functioning nervous system, and would have the chiropractor regularly check her kids to make sure that they were functioning at their best. This was where the “seed” of chiropractic was first planted. Before studying chiropractic, Dr. Cooley began studying engineering at the University of Regina. During the first year of engineering, Dr. Cooley had a snowboarding accident which resulted in whiplash. He chose to forego the prescription medications his medical doctor prescribed and began seeing a chiropractor. The philosophy of chiropractic (the body healing itself) really resonated with Dr. Cooley and he transferred out of the engineering program and began the process of obtaining the courses required for chiropractic school. After successfully obtaining all the pre-chiropractic coursework at the University of British Columbia, with the help of his chiropractic mentors in Vancouver, BC, Dr. Cooley chose to do his chiropractic schooling at Life University in Marietta, GA, USA. In 2003, he graduated and moved back home to Vancouver, BC, where for nine years he had a busy family practice helping people of all ages and walks of life. 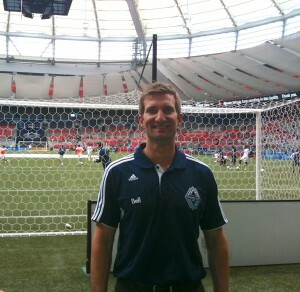 Dr. Cooley was able to combine his passions of football and chiropractic by working the past five seasons as the team chiropractor for Major League Soccer’s (MLS) Vancouver Whitecaps FC. Over the years, he has cared for many professional athletes (MLS, NFL, Olympians, National and Provincial team athletes) as well as many celebrities. 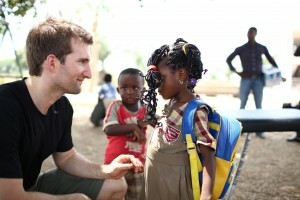 In early 2012, Dr. Cooley traveled to Ghana and St. Vincent and the Grenadines on chiropractic mission work. He knew it was going to be a great experience but this was life changing! Experiencing other cultures and the sense of gratitude that people lived with resonated with Dr. Cooley. On his very first trip to Barbados he knew that Barbados was where he belonged. Dr. Cooley lives a chiropractic lifestyle, which is one that focuses on a properly functioning nervous system, eating well, thinking well and moving well. What better place to do that than in Barbados!